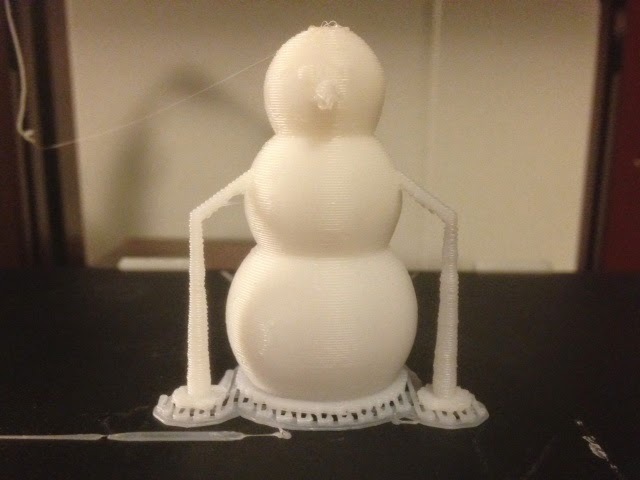 Settings: Printed on a MakerBot Replicator 2 with .3mm/low settings and raft, but NO supports. 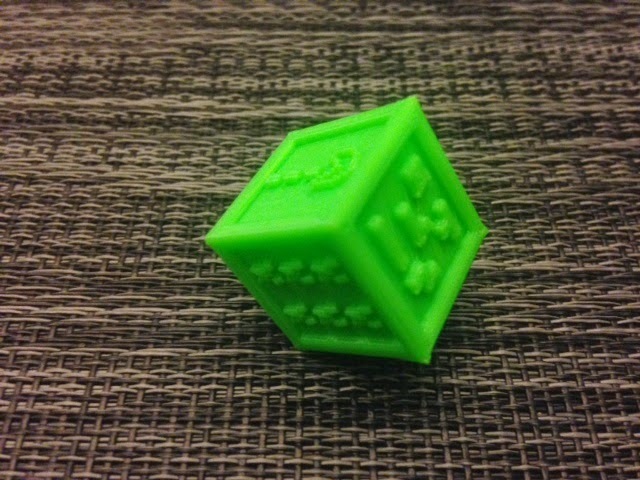 NOT using supports is key, because supports will fill up the designs on at least two sides of the die and be impossible to remove afterwards. UPDATE: The student that did his homework turned out to be Joshua Brackensiek from Arizona College Prep-Erie, who got a perfect score on the USAMO this year. He also turned out to be a lovely person and it was a great pleasure meeting him and his mother at the award ceremony.